A shotgun start will be utilized. Sign up as a single player or register a team! If you are attending the conference as well, then please use the registration system for the conference. We will be playing at the Oaks Golf Course. Designed by world renowned architects Bruce Devlin and Robert Von Hagge, The Oaks places a premium on accurate shots and strategic course management. 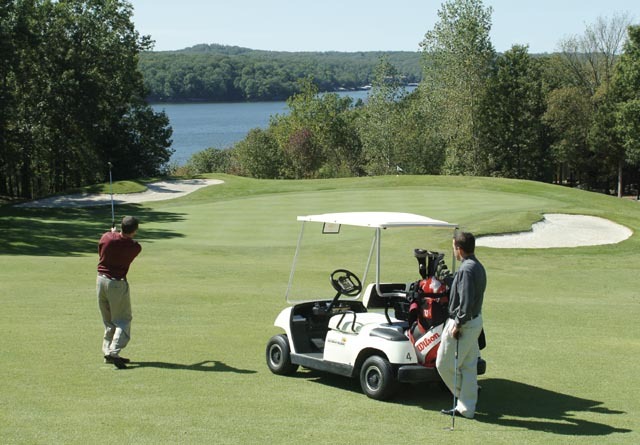 With demanding approaches, challenging bentgrass greens and well-placed hazards amid lakeside beauty, this course takes golfers on a journey through the surrounding Missouri forests, hills and sparkling Lake of the Ozarks. Multiple tee boxes and beautiful Bermuda and zoysia fairways make this championship golf course a unique and enjoyable experience for the expert as well as the novice. The Oaks was host to the 1994 PGA Club Pro Championship, the largest professional tournament of its kind and challenged some of the best club professionals in the country. beer cart sponsor - $500 - sign provided on beer cart visiting each golf ream throughout the day. Mulligans will be $10 for 2 or $30 for 8 (team). All proceeds go to our scholarship fund.